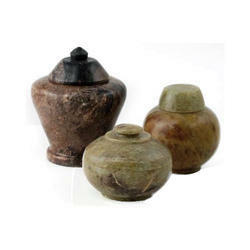 Exporter of a wide range of products which include soapstone bowl, soapstone jars and stone bowl. Over the years, we are widely acclaimed and appreciated across different domestic market by offering a qualitative array of Soapstone Bowl. Ideal for decorative as well as gifting purposes, this bowl is highly treasured due to its striking features. We design this bowl from quality assured material and the latest technology as per the industry set standards. 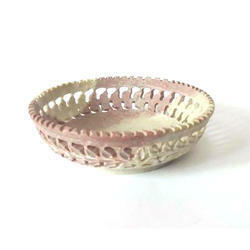 To meet the diverse needs of the clients, we provide this bowl in variety of sizes and shapes at market leading rates. Running with a goal to fulfil the variegated demand of our valuable clients, we are affianced in offering world class Soapstone Jars. This jar is generally used to store various edible items with care in homes. For designing this jar, our creative and experienced team members only use premium quality material and contemporary techniques. In order to ensure quality of this jar, our quality controllers properly check it on numerous parameters. With desire to get into excellent in this field with complete client satisfaction, we have come out with an elegant collection of Stone Bowl. Well known for its striking features, this bowl is ideal to be used in homes, hotels, offices and many more places. We design this bowl with utmost care from quality assured stone and cutting edge technology as per the industry set standards. Additionally, we provide this bowl in different sizes, shapes and designs to fulfil the different choices of our prestigious clients. 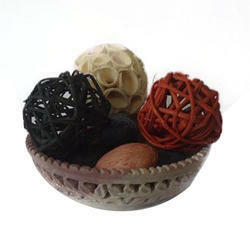 Looking for Soapstone Bowl And Jar ?